I've finally decided on my next project and here it is! It's from Rowan's Ribbon Twist Collection. After reading the directions for this pattern, called Honey, it seemed like it had enough challenges that I wouldn't get bored. I love the pom poms too. It's knit on big needles, so it should go rather quickly. I am actually going to splurge and buy Rowan yarn. 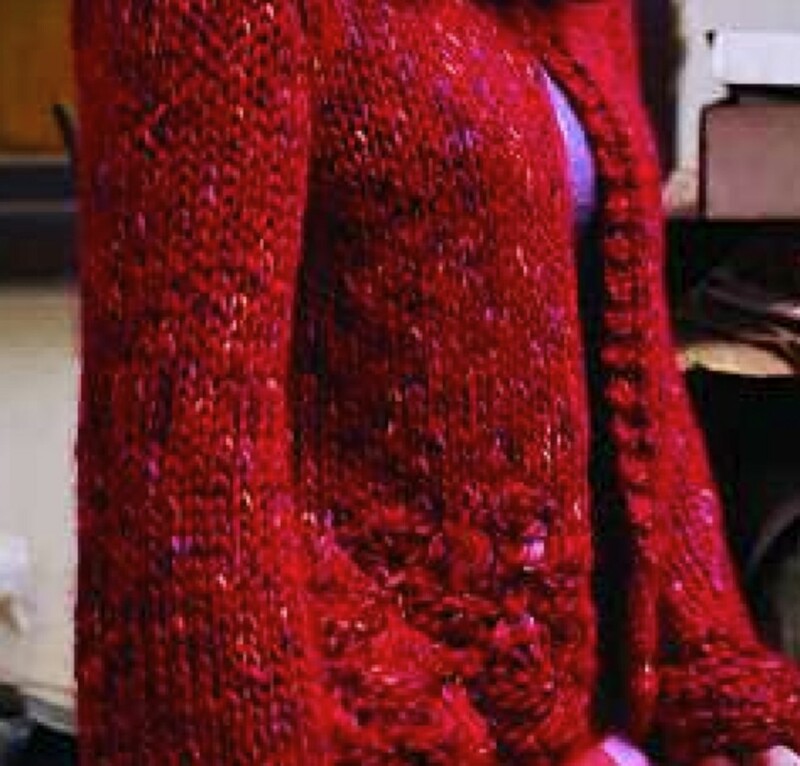 I'm trying to decide between Riches, the color that's used in the photo or Racy, the pretty flecked red. I think I'm leaning towards the red. What do you think?